This entry was posted in Gear and tagged Speed Radical, Tech bindings, TLT6 by Lee. Bookmark the permalink. And at least one of my other fixed heel friends has looked upon a tele and said..I think I’m going to get into that eventually, sometimes you need a new challenge. I’ll be curious to see if you find yourself better able to tackle technical terrain? Not that you appear to suffer any lack of that–stoking blog for sure–unreal to get all these wallowa bc TRs. Are there many people getting after it like yourself? Or are there seriously like 10 people in the entire area hitting it like you? Hey Matt, It’ll be interesting to see how this experiment goes. Two years ago I was just like your buddy, never giving up tele. Who knows, maybe I will hate it. Only time will tell. There’s a handful of folks I know skiing big lines out here on a regular basis, maybe more I don’t know of. Glad you enjoy the blog! Looking forward to some more snow to get after it again. How have you been liking the Tychoon tours? I just picked up a pair and will be mounting them with dynafits. Did you go with the recommended line? Any suggestions? The Tychoon Tours are a capable little ski. I use them for big days, ski mountaineering, or hard snow but they’re fun on everything. Could easily be a quiver of one backcountry rig. Pretty disappointed ON3P quit making them. 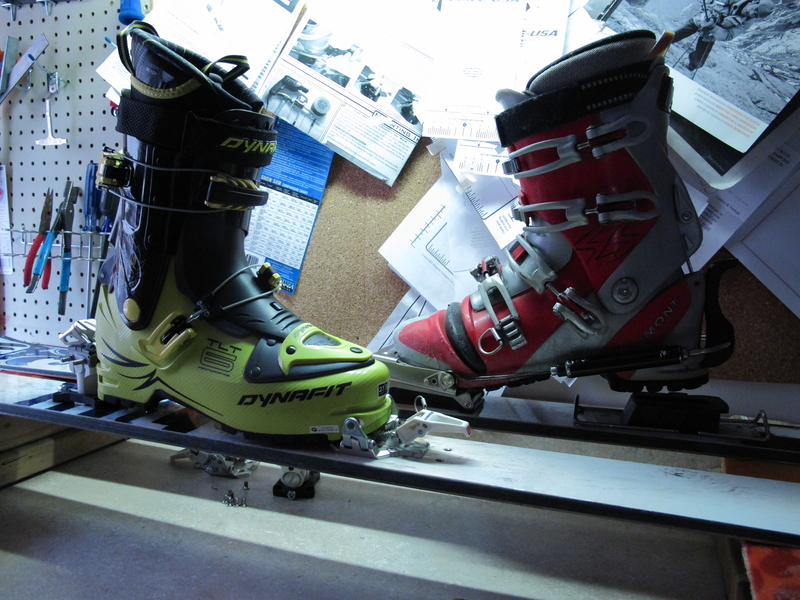 I’ve mounted all my ON3P skis -2 from recommended except for the Tychoons and have no complaints. They ski great!